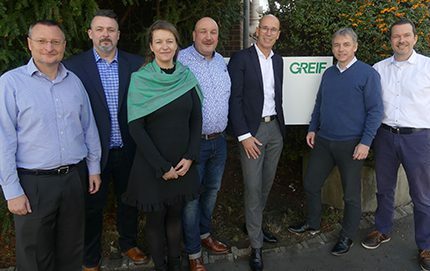 Greif, a global provider of industrial packaging products and services, is excited to announce the recent appointments of Sven Henigschmidt and Marco Mostert as area sales managers for Greif Germany. Sven Henigschmidt will be based out of Greif’s steel drum production facility in Hamburg, focusing on serving customers in the northern portions of Germany. Marco Mostert will be based in Cologne and is responsible for a range of clients across Germany. Mostert and Henigschmidt are rejoining Greif following time outside of the company. “Sven and Marco’s appointments are in direct response to growing market opportunities in Germany”, said Christoph Ehling, Greif sales manager in Germany. These key appointments follow several new additions to the Commercial team in Germany in recent months. Bernhard Hofmann was appointed to area sales manager and Sophie Hammermeister has joined as sales manager for reconditioning, as Greif continues to attract industry leading talent to support its ambitious growth plans. Greif operates four production facilities across Germany in Cologne, Hamburg, Mendig and Huckelhoven. Its product portfolio includes steel drums and IBC’s serving customers in the chemical, lubricants, food and beverage and pharmaceutical markets. The company has more than 200 operating locations situated across over 40 countries.